Lydia would like to share some of her knowledge with younger riders over the coming months. Keep checking for the latest tid bits to keep your pony safe and happy. If you would like to download an article just click on the title. Clearwater Riding School recently featured in the local Oakura newspaper. Jill Tompkins started Clearwater Riding School in the 1970’s. Jill had never intended starting a riding school however she was approached by a local vet to teach their child to ride. They offered to pay Jill for her services at a time, particularly in New Zealand, it was unusual to get paid to teach people to ride. This combined with Jill’s husband becoming ill and needing to be cared for at home, and the number of ex pats arriving in Taranaki for the oil industry saw Jill start up her riding school. Jill loved teaching the children how to ride and care for horses. Clearwater Riding School, is now situated at 1500 Carrington Road, New Plymouth. Lydia Quay has owned Clearwater Riding School for the past 12 years. In her time as owner, she has moved the riding school from Upper Wairau Road, to Ahu Ahu Road to its current location on Carrington Road. Clearwater has been very successful as a riding school, producing a number of great riders. We now have two instructors, Kim Winks, an Oakura and ex Clearwater Student, and Lydia Quay, also an ex student of Clearwater under Jill Tompkins. 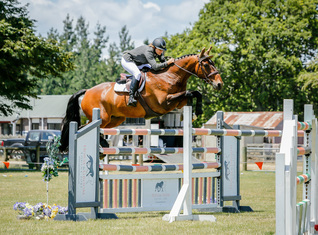 Some of Kim’s successes include competing at Grand Prix Showjumping at heights of 1.35m, doing the World Dressage Challenge and competing at Young Riders at heights of 1.45m. Lydia is a professional Show jumper having recently competed at World Cup level at heights of 1.60m, and Grand Prix at heights up to 1.50m. 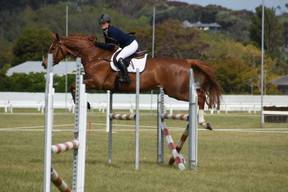 She gained the title of 4th best Lady Rider of the Year, and has represented Taranaki in Eventing and Dressage over a number of years. Kim is the main coach at Clearwater Riding School. This allows Lydia time to coach those wanting individual and group instruction taking them to the next level in horse riding. Clearwater Riding School is safe, fun and friendly environment for students to immerse themselves in everything equine from learning how to catch and tack up a pony, to becoming better equipped in all disciplines, Show jumping, dressage, cross country and more, catering for all levels on Clearwater Riding School's pony/horse or your own. “I ride to the horses feel and how it needs to be ridden, I want it to be a willing partnership and there to be a mutual respect between rider and horse rather than forcibly making them." Check out our website and our Facebook page for information on our upcoming school holiday programmes and term lessons.